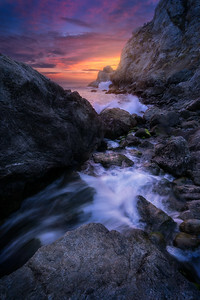 A small waterfall flows into the ocean as waves crash on the rocks along the central Big Sur coast. 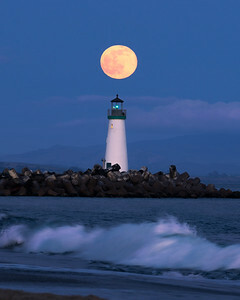 The rising moon lines up over Walton Lighthouse in Santa Cruz. Hvítserkur Arch in North Iceland during high tide. 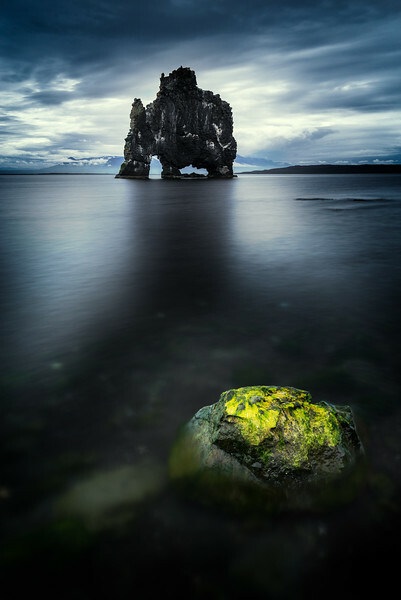 Legend says the arch is a petrified troll in the sunlight. 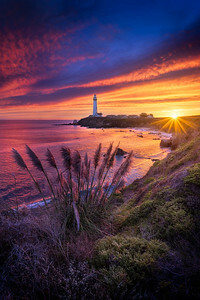 The sky turns intense during a sunset behind Pigeon Point Lighthouse. 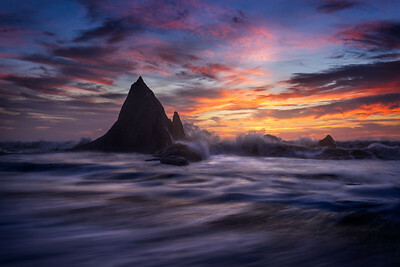 Rough surf crashes on sea stacks at Martin's Beach on the northern California coast. 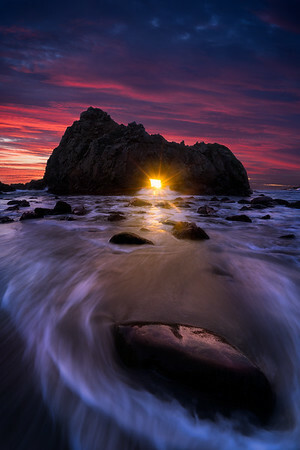 Every year, for a few weeks surrounding the winter solstice, the setting sun can be seen through the keyhole sea stack at Pfeiffer Beach in Big Sur. On this evening, all the right elements aligned for this spectacular show of light and color. 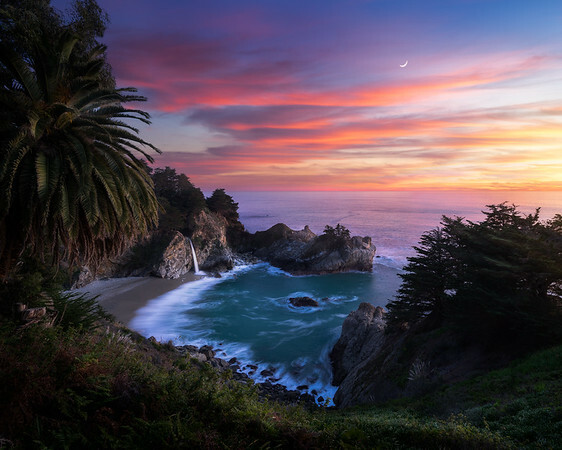 A nice band of clouds over McWay Cove lights up as the sun sets over the central Big Sur coast. 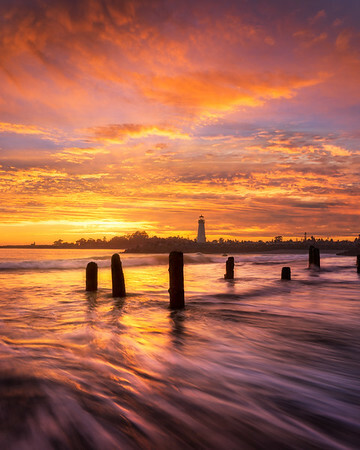 Gorgeous golden-hour light illuminates some retreating surf at Walton Lighthouse in Santa Cruz. 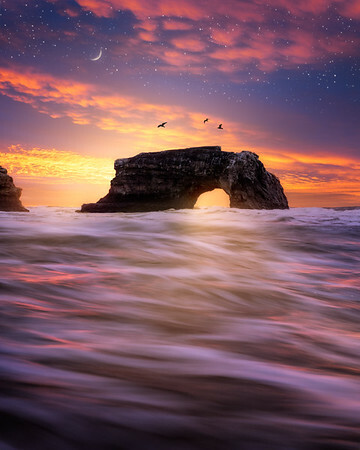 A colorful early-morning twilight on the Santa Cruz coastline. 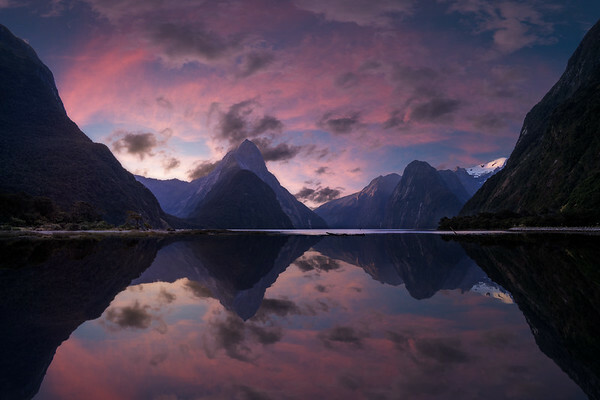 Rare late-evening light paints the sky above Milford Sound, with a near-perfect reflection in the calm waters. 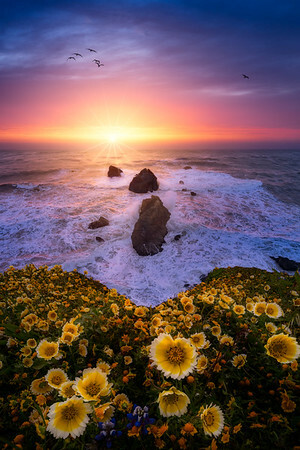 Ephemeral wildflowers at peak bloom off the coast of San Francisco. 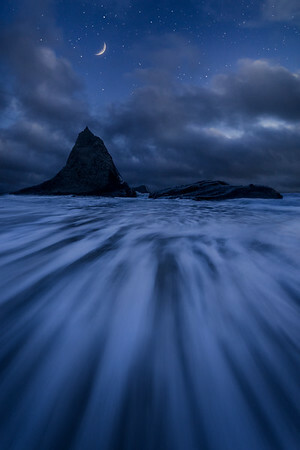 A clearing patch of low clouds at twilight reveals a dramatic scene on the northern Califronia coast. 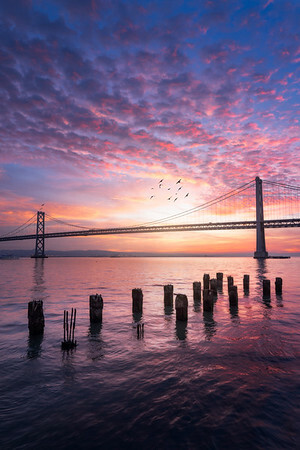 A unique deck of popcorn clouds over the Bay Bridge in the morning. 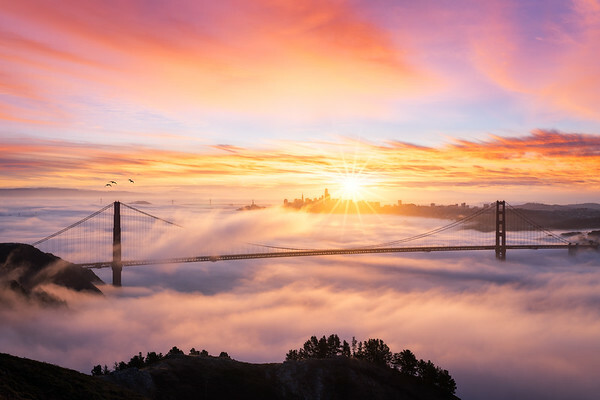 Low fog creeps under the Golden Gate Bridge during a beautiful sunrise.